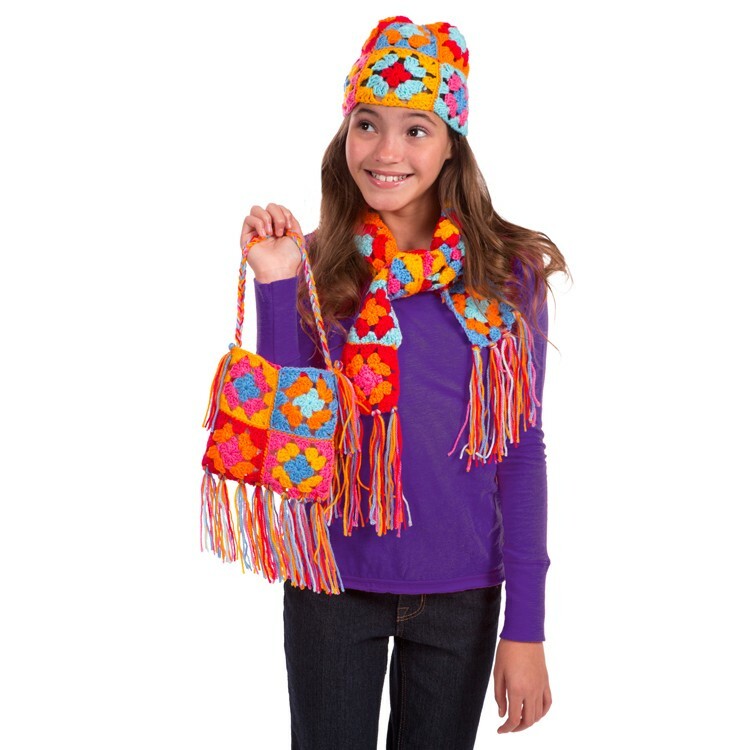 With this fashion craft kit girls will learn not only to crochet colorful squares, but to turn them into cool accessories. 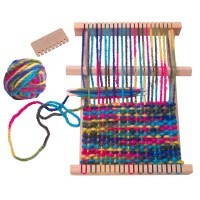 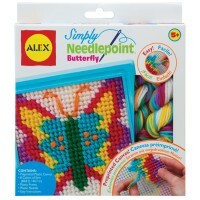 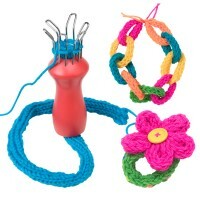 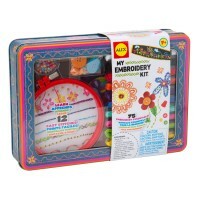 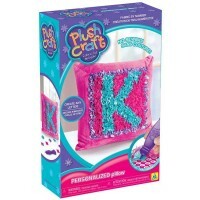 Learn, practice and master the art of crochet knitting with this girls favorite Alex' craft kit. 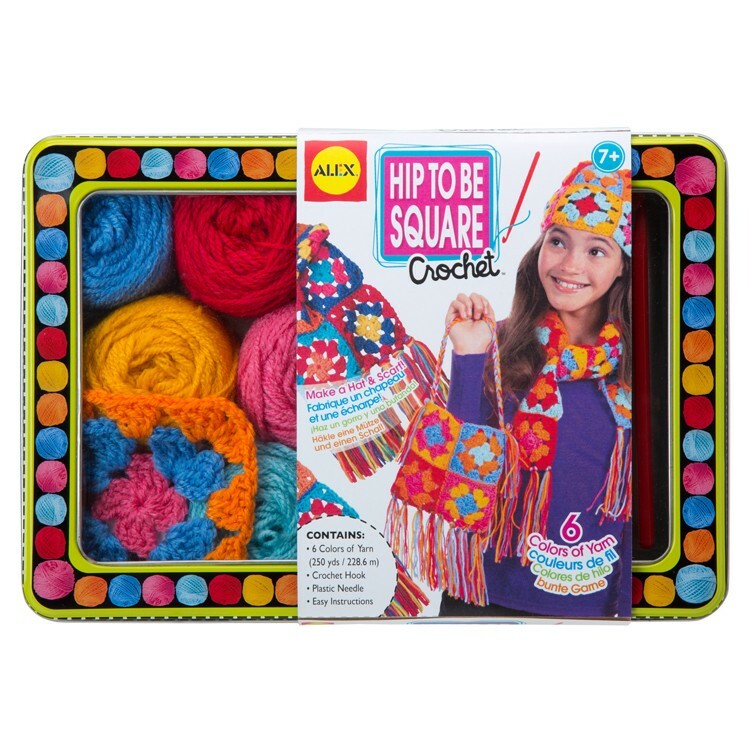 Hip to Be Square Crochet Girls Craft brings everything your young crafter needs to learn how to crochet colorful squares and turn them into fashion accessories. 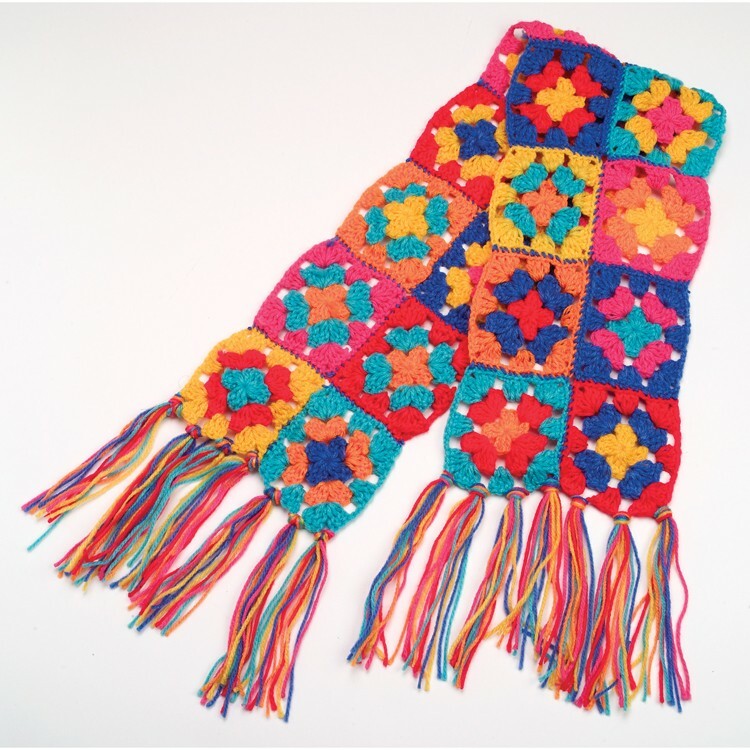 Follow the easy-to-understand detailed instructions and make crochet squares, make multiple squares and craft them into a hat, bag or scarf! 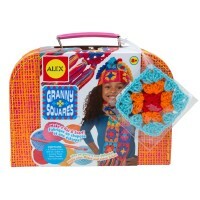 Hip to Be Square Crochet Girls Craft includes one finished crochet square as a sample, 300 yards of yarn in 6 bright colors, crochet hook, and plastic needle. 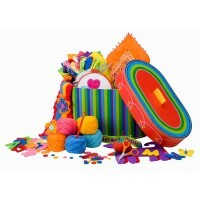 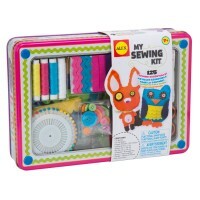 This knitting craft from Educational Toys Planet is neatly packed in a beautiful gift tin that is great to store all crochet accessories and projects-in-progress. 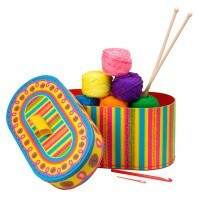 Let's create some fashionable crochet-squares accessories you yourself or as a hand-made gift for someone you love. 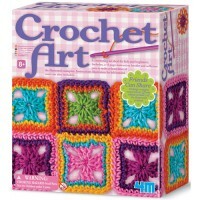 Dimensions of package 7.75" x 10.75" x 8.25"
Write your own review of Hip to Be Square Crochet Girls Craft.